The Board approved a $23.4 million contract to Shanghai, China-based Shanghai Zenhua Heavy Industries Co. Ltd., for the construction and delivery of the cranes. There are no domestic manufacturers of container gantry cranes. In order for the Port to handle larger container ships, it requires equipment with increased capacity. The larger workhorse container ships currently serving the Gulf range from 8,000 to 9,500 twenty-foot-equivalent units (TEUs) and are increasing in frequency. These container ships are best served by 100-foot gauge gantry cranes, which have the ability to work wider ships. Port NOLA is also currently in the engineering and design phase of extending the 100-foot gauge rail tracks to accommodate the new cranes at Napoleon Avenue Container Terminal. The purchase of the two new cranes supports Port NOLA’s strategic master plan to invest in current facilities as well as additional terminal facilities in order to ensure the Port is able to meet current and projected volume.Container volumes have grown significantly at the Port in the past few years, setting an all-time record in 2018 with 591,253 TEUs, up 12.3 percent in just one year. Port NOLA’s container business has doubled in the past 10 years and growth is accelerating, fueled by export resins produced by chemical companies along the Lower Mississippi River and in Southwest Louisiana. Collectively, LNG, oil and gas and petrochemical companies, such as Shintech, ExxonMobil, Dow and Formosa, have announced investments of more than $80 billion in Louisiana over the past several years. 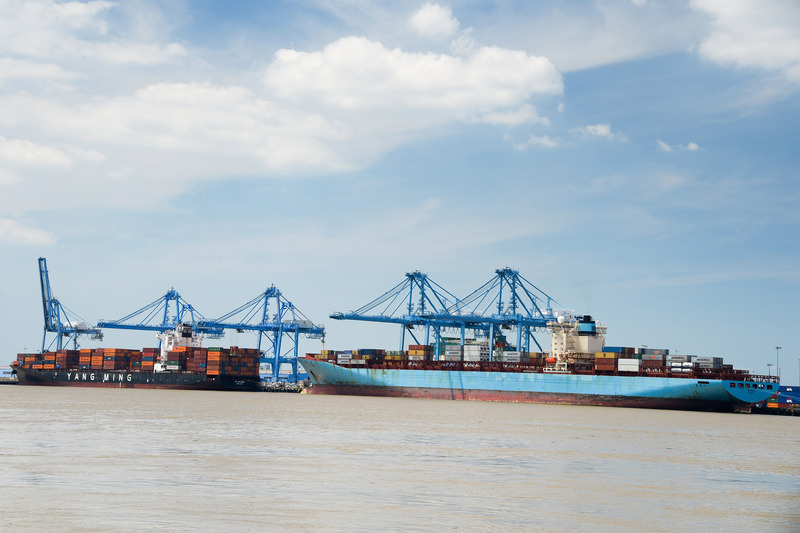 Port NOLA’s Napoleon Avenue Container Terminal is Louisiana’s only container terminal participating in international trade. Due to the Panama Canal expansion and increased Gulf Coast calls via the Suez Canal, Port NOLA has greater access to and from more international markets than ever before. Port NOLA now reaches 58 global ports of call directly and connects with more than 450 via transshipment with containerized and breakbulk cargo. Through construction, transport and crane installation the entire project is scheduled to take approximately 18 to 20 months from contract approval.